The original plan for development and operation (PDO) of Draugen had estimated that the field would only remain on stream until 2010. However, output over a number of years had established that it would be a long time before the platform had to shut down. [REMOVE]Fotnote: Tidens Krav, 3 February 2012, “Draugen lever minst til 2035”. Its producing life had already been extended to March 2013. Shell’s operations head was confident that an application would be submitted to the Petroleum Safety Authority Norway (PSA) to keep the field on stream until 2035. People still believed in February 2012 that Linnorm would be tied back to Draugen – only the investment decision remained to be taken. It was also revealed that a contract had been awarded to drill four additional wells which would help to double production from the field. [REMOVE]Fotnote: Tidens Krav, 4 February 2012, “West Navigator borer nye Draugen-brønner”. This optimism persisted throughout February. A major contract was awarded at the end of the month to Aibel, which included a new quarters module with 50 cabins and a new lifeboat station. [REMOVE]Fotnote: Tidens Krav, 29 February 2012, “Shell – Store endringer på Draugen”. 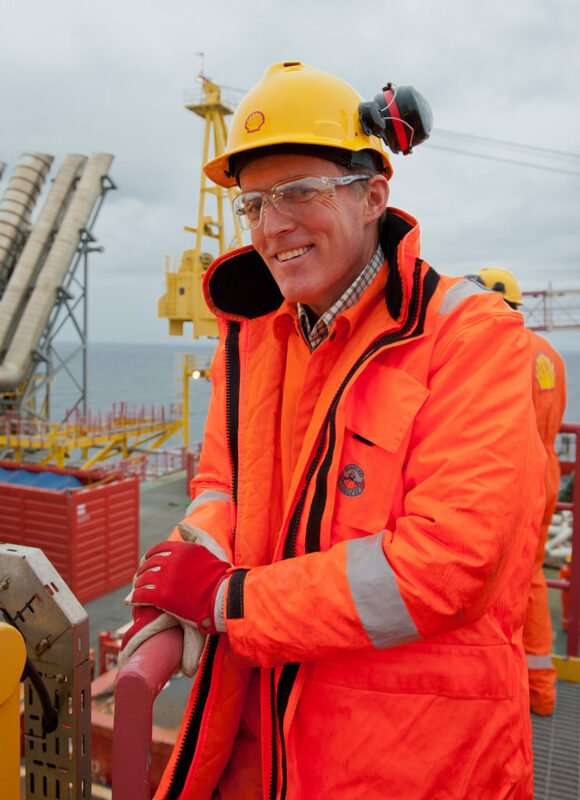 The development concept for Linnorm involved two subsea templates tied back to Draugen for processing and export via the new Polarled gas pipeline from the Aasta Hansteen field. Unfortunately, the field proved to be less promising than the optimists had assumed. When a wildcat on the Onyx South prospect proved virtually dry, the whole project was eventually shelved. [REMOVE]Fotnote: Petro.no, 20 September 2013, “Linnorm-beslutning i høst”. An application to extend the platform’s producing life was submitted in the spring of 2015, with the cessation date set as 2024 to harmonise with the expiry of the licence. [REMOVE]Fotnote: Section 25, regulations relating to management and the duty to provide information in the petroleum activities, etc. In May 2015, the PSA announced that it had consented to an extension of Draugen’s producing life until 9 March 2024. This was still the cessation date for the field in the summer of 2018, and the licensees will have to apply again if a further extension could prove profitable. 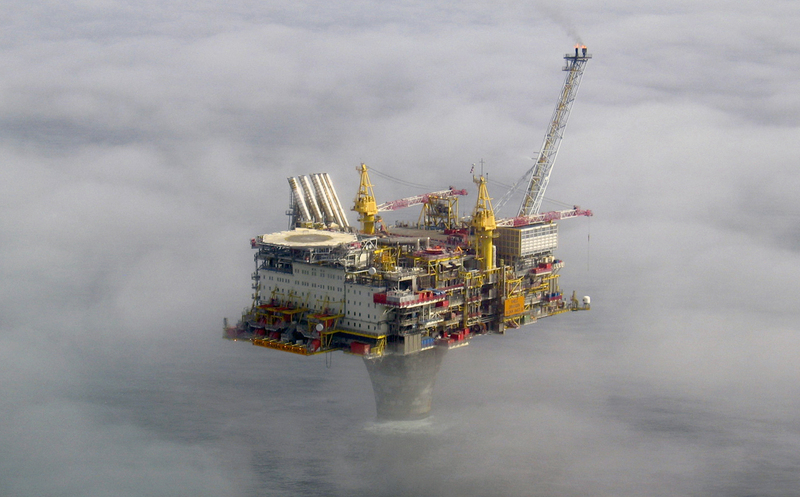 [REMOVE]Fotnote: Petroleum Safety Authority Norway, 20 May 2015, “Draugen får samtykke til forlenga levetid”. A well drilled in the summer of 2015 came on stream in late 2017, and a new seabed pump has also been installed to boost flow from this and the other subsea wells. Reduced oil production from the field in recent years means that supplies of associated gas have become inadequate for power generation. Alternative solutions for maintaining electricity supplies are under evaluation. To achieve the overall oil output expected by the licensees, the producing life of the subsea installations must be extended. That in turn means the platform has to stay on stream beyond the restrictions which applied in 2018. [REMOVE]Fotnote: Norwegian Petroleum Directorate fact pages, 3 March 2018.